Who says vests are for geeks? Well maybe they are, but really how cute is this? Our family is pretty geeky anyway, so whatever. LOL! 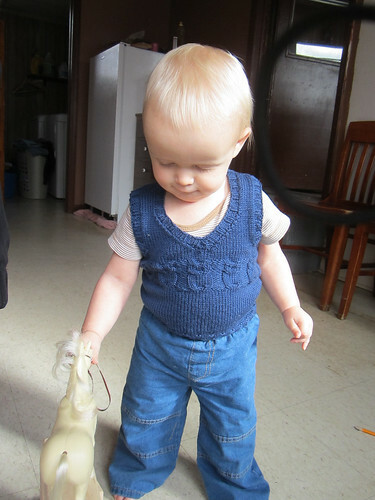 I finished the 2nd Owl Baby Vest on Thursday night. 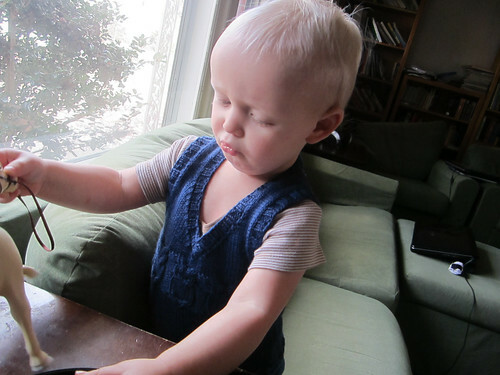 This pattern is so cute and really easy to make. The directions are clear and I didn’t find an errors. I made two of them so that is saying something. I have an affinity for simple designs that have just that little bit of something that makes the special but isn’t fussy or overtly whimsical. I am just not the “whimsical” type, LOL! 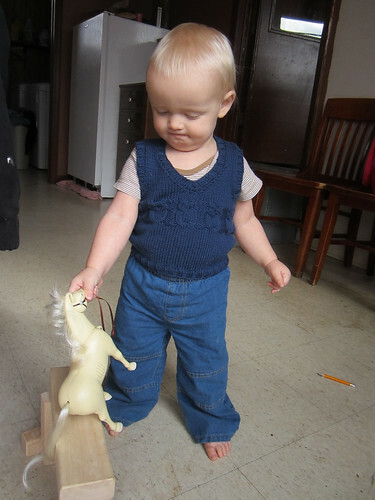 I may have said this before, but I really love vests for babies and toddlers too. It gives them that extra layer of warmth without getting in the way of their play and when eating. They are perfect for chilly days where you don’t want a sweater indoors. They are also a wonderful extra under the coat or sweater when going out. I think this will be my new go to baby gift knitting. 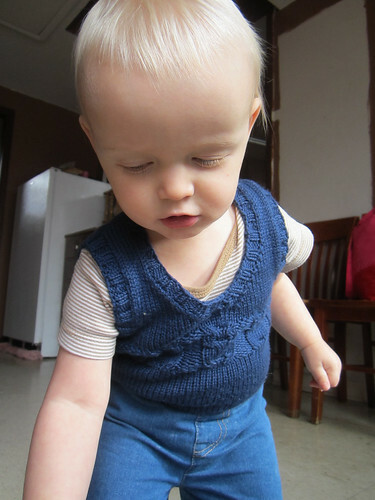 It is equally cute for both genders and it’s a good size to fit anywhere from 6-18 months. 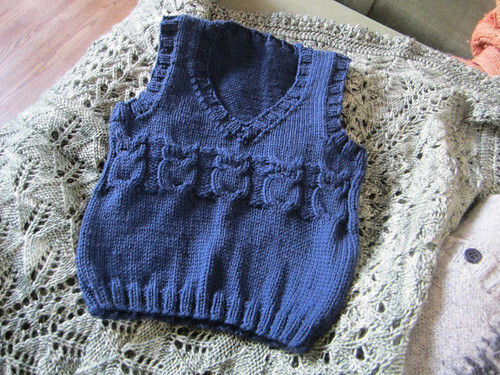 You could probably make it in sport weight yarn and it would work up a good 0-6 month size without even doing any pattern alterations except for length. So I do recommend this project. Make a few in different colors to have on hand for baby shower gifts. I think I may do that myself!